If you’ve been following me for any time you’ll know that I’m a get it done person. But I have a confession to make. I have been a workaholic. I have treated myself like a machine, and it was last November that I really felt like I hit a wall. I didn’t fully understand what was happening, until now when I can look back and see. At that time, I really found myself getting into art. If you followed my art journey you’ll know, I just dove into it. I think what happened at the time was, it was filling something within me that was dry. That creative well within me, it had just run dry. So, the art just came rushing in! Soon, I started treating my art like work, and I became like a machine. I was posting five and six times on Instagram. I have created over 20 Skillshare classes. I mean, it’s crazy, right? And this summer, I hit that wall again. Previously, there were days when I worked 14-hour days. I didn’t get outside. I was just so focused on work. It leads me on a journey, and what I realized is that my brain needed rewiring. 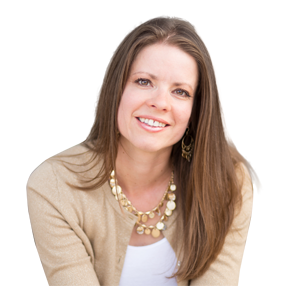 I listened to a podcast that I highly recommend, “Revelation Wellness” episode 200. If you haven’t listened to that it’s called, “Deep Work”. It’s based on the book Deep Work by Cal Newport, and it’s a business book. In the podcast, they talk about how they’ve actually shown that when we’re on technology, switching back and forth different things like social media, email, and internet, it actually wears down the myelin on the neurons in our brain. That caught my attention. I’ve taken neuroanatomy when I was in medical school. I practiced for 12 years as a physical therapist, so that caught my attention. They said it actually rewires your brain, and you get addicted to new nuggets of nothingness; new nuggets of nothingness. I had just done different things and I hadn’t been on Facebook or email on my phone since November. What happened was Instagram. Instagram took its place, so I was just as addicted to my phone. It was just a different platform. I justified it saying it was my art, and it was a hobby, but then it became work and it was just the same cycle again. So, it really convicted me that there was something to this. I need to really seek God and ask him about this. It leads me to read a bunch of books. We ended up coming two weeks early from our trip. It turned out differently and that’s a whole other story. 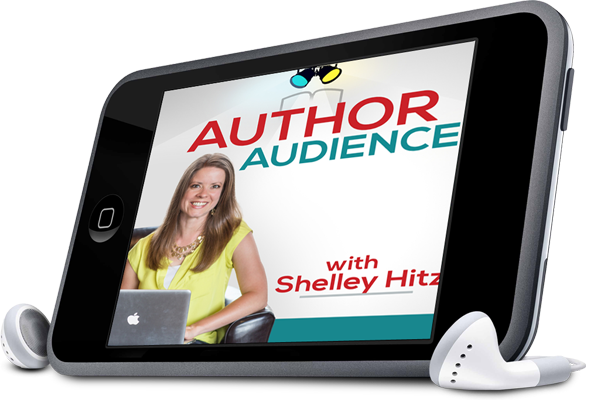 I shared some of the insights behind the scenes in the Author Audience Academy Private Facebook Group. We came back two weeks early and I felt like the Lord said, “I don’t want you to go right back to work. I want you to have some more time.” So, I took the time and I was kind of reorienting, still reading. I’ve never done that, never! Even when I was on vacation I was still checking in daily, because I run an academy, Author Audience Academy. My members expect me to check in at least once every day, to answer their questions, and help them out. I run a business, and I currently have a VA working my support desk. But I don’t have anyone in my personal email and all the things that are required for me there. I had all of these excuses. Have you ever done that when you sense God asking you to do something radical, or something hard? The Lord kind of told me that, “You can do it.” So, I had my autoresponder on my email set up, and it said, “If you need anything urgently before these 7-days (whatever the date was), contact my assistant.” Then, I instructed my VA to sen an email to my husband if there was anything urgent that needed taking place. There was only one thing in the entire 7-days that I had to urgently take care of, that was it. Then, I have a team now with Author Audience Academy, and my team is amazing. They took care of taking care of the members, moderating the group, and sent me everything I needed to catch up on when I returned. So, 7 days – I could do that. It was doable. But, it was hard. Anyone else starts to have the shakes when you think about being away from your phone and your computer for 7 days? 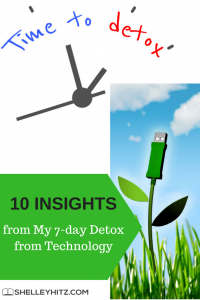 What I did was, I came up with ten different insights from my 7-day detox. I just thought this would be really helpful to share with all of you some of the different insights that I got, and why I found it so valuable. I really do recommend doing some sort of radical detox like this to rewire your brain. I literally do feel different. I feel so different. It was the first time I’ve ever unplugged. I’ve had an online business since 2004, and it’s the first time I’ve unplugged in 12 or 13 years. It’s crazy, you know? So, insight number one. This one really kind of hurt. It was kind of hard. The first insight is I’ve been a Christian for over 25 years, and I’m just now admitting that I have never truly practiced the Sabbath on a consistent basis. That’s really hard for me to even admit. I feel horrible even saying that. That’s not good! That’s not good! And it’s not to be legalistic. God put the Sabbath into the 7 days for our own good. My husband is a runner, and he runs very competitive and high places. He’s a competitive runner. If he doesn’t do recovery for his body and muscles and tried to race all the time at race pace, he would get injured. He would burn out and would not be running at his best. For 25 years, I treated myself kind of like a machine. I just boom, boom, boom, boom, boom, and didn’t have any recovery. I didn’t take advantage of the gift. Now I’m not seeing Sabbath as a legalistic thing or a dread. I’m seeing it as a gift! Amen? It’s a gift! We can rest, recover and heal! We can just give our brains, our minds, and our hearts time and space. It’s a space that God has given us for very specific reasons. I was talking to CJ, but it was weird. It was so weird. So, I was like, “OK, what do I do now? Lord, you’re here. How are you? What are you doing?” I had filled every minute of my time with something else. I didn’t have space to be talking and hearing from the Lord throughout the day. That gets me in the gut. I began to learn to talk to him. So, similar to how the Bible says to pray continually, I was really starting this flow of conversation between me and the Lord. And it’s continued after my detox. I had realized that my prayer life had kind of shrunk to certain times of the day, instead of being a flow of conversation between my Papa, my Father God, and me. Back in March, I took a challenge from Revelation Wellness, and it was a challenge on identity. They talked about our Father God. At the time I was like, “God, what do you want me to call you – Papa, Daddy, Dad, Abba, Father, Jesus, Holy Spirit?” I felt like Papa was the one for me. My late grandfather, we called him Pawpaw and just a man of God. He’s someone I still miss today. So, anyway, I call God Papa now, God the Father. So what happens is we get so used to communicating with other people, all the time, we don’t save or create that space for God. Can anyone relate to this right now? I’ve always been a driven person, and for many times, I feel an urgency when I get ideas or when I have things. Some of you are on the other side. Some of you get paralyzed by perfectionism, doubt, fear, and those things. I’m on the other side where I’ve always been driven. A year or two ago, God showed me that this voice is actually the enemy. It was actually the enemy driving me. It wasn’t God, and it wasn’t what He had for me. I was still kind of stuck in that a little bit. 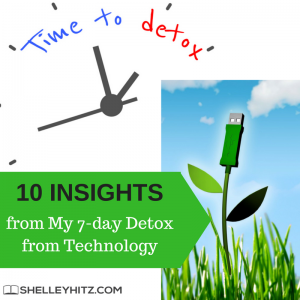 So, over that 7-day detox time, I felt like the Lord gave me so much insight on what that means. I really want to do a webinar later on exactly what God showed me. It was a lot, and it was so helpful to me. It’s more than I can really include on this podcast right now. 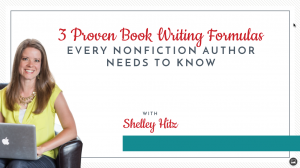 If you’re not on my email list, definitely check out some of my free training at ShelleyHitz.com/Free. Then get on my email list, and when I do the webinar you’ll be one of the first to know. Over those 7 days, I felt like God gave me a name for that driving voice inside my head. It’s my inner slave-driver. Anyone else has an inner slave-driver? In the past, I would have added that next thing to my plate, I would have done it anyways. One of the things the Lord was telling me was, “No. No, that’s not something for you. Maybe later, maybe not, but keep seeking Me on that.” So, I’m hearing more clearly from the Lord, even what to keep putting on my schedule. That’s something I’ve always struggled with. When I create margin, I fill it back up again with more projects. So that’s been a really transforming thing for me, and something that I could never really break in the past. Insight number four is I’m just more self-aware. This is because I have more silence, and I have not returned to technology. And I don’t plan to return to technology ever again like how I used it in the past. One of the things that they talk about in the Deep Work book is having distraction breaks. Again, I may share more of just some of the things that I’ve done in the future. So, the author said, it’s not as damaging to your brain if you have a chunk of time that you’re doing something, instead of going back and forth, doing different things. So, what I’m trying to do, and implement, is have distraction breaks. I check my email and social media at a certain time and then I go and do my work. What happens is you can really do your best and deepest work when you’re focused. So, kind of getting off on a sidetrack there. I’m more self-aware. What that means is I’m feeling and processing my emotions instead of numbing them with a quick fix from social media or the internet. Sometimes you may feel anxious. You may feel overwhelmed. How many are feeling overwhelmed right now? How many of you feel like you have a little bit of anxiety right now? Sometimes what happens is we have those emotions, and it’s usually attached to something deeper – a deeper issue. I’m processing it. And as I was doing that some deep revelations are coming to me simply because I’m recognizing it. I’m more self-aware so I’m recognizing the emotions, I’m taking them to the Lord, and then we’re working through it. Some things have come out that I wasn’t even aware was in there. It was just like, “What? Wow!” It’s really a powerful stuff. I’ve already been saying it above but I feel that I’m hearing from the Lord in a deeper way. I’ve continued to hear from the Lord on a consistent basis. But I’m talking about a deeper way. The book Deep Work talks about it. They’re talking about it more in a career and in your job, but I’m talking primarily to Christian authors. If you really want to have an impact for the kingdom of God, then we need to be able to be focused. If you really want to receive information, words, and writing that’s going to impact a generation, and impact people in a deep way, and not just the surface, we need to be able to hear from the Lord in a deeper way. Amen? I want that. I don’t want to just create and create content, I’m good at that. I’m good at creating content. But I want to do it in a deep way. So, I remembered that some of the deep stuff that I felt like I heard from the Lord was really before social media came. I started Facebook in 2009. Then, it was around 2011 when we transitioned to the RV and other things. That was when we really went fully into the business. I was probably on social media and email most of the time from that point on. It started to get fuzzy. It started to get less clarity, and not as much depth from the Lord. So, what I’ve realized is that, in the 7-day detox, I really believe that I received more insight, and heard more from the Lord. And I’m continuing to since I finished. I heard more from the Lord than I had in the previous 6-12 months. I’m continuing. I’ve truly repented of not taking the Sabbath. I’m taking the Sabbath. I’m using technology differently, and I’m still getting a lot of work done. I’m still being productive and fruitful, but with God. Not out of my flesh, not out of my own strength, not rushing ahead and doing, doing, doing. But I’m doing with Him. If he leads me to do something different then I do. I actually woke up with something on Tuesday. I followed through with it, and it ended up taking my whole day. 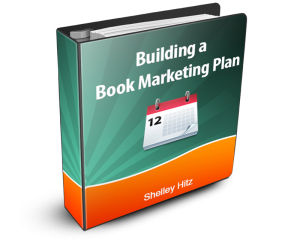 I had to change some things around but it was one of the most profitable things that have happened with me for book sales in a long time. If you’re in the Author Audience Academy group, you know what I’m talking about. It’s a special strategy that one of our members have shared with us. Some of our members have applied it, and oh my goodness! Maybe I’ll be able to share later on. When the Lord prompts you, His ideas are the best ideas. I recently did a podcast on that – on God ideas. So, I’m just hearing from him. I created space to put myself in a position to receive. Are you creating the space? Are you in a position to receive today? Do you have space? Do you have a margin? I know this is long, but I wanted to share this. I wanted to share my heart. I would love to see more authors be able to have a breakthrough, and not have to hit the wall like I did. So Insight number 6 is that I’m overall much more observant of my environment. Instead of being on my phone having my brain occupied every minute, I’m standing here and I’m looking out. There’s a tree right outside my window in my office. And I literally see hummingbirds all day, and birds. I never even noticed that in summers past! And I was like, “What?! How did I not see?” It is just crazy. It’s almost like I’m seeing life with new eyes. As an artist, a writer, and a creative, when we’re observant of our environment, we’re able then to use that in our creativity. It just fills our creative wealth. I have more hunger for the word of God and for prayer. It’s almost like junk food. If you eat junk food it takes away your appetite for dinner. Social media and internet are like junk food for me and it would take away my appetite for the Word and prayer. That is our main connection to the Lord, and I really don’t even like saying it. It’s just the truth and you know that I don’t sugar coat things. You get the truth around here, the honest truth. So I have more hunger. Several of the days when I was in my detox I spent at a location here locally. They have prayer grottos that you can rent out and reserve for free and just spent time in silence and solitude. My husband and I did one of the days. We had different rooms. We had lunch together and shared our insights that were really powerful too. I really want to start doing this on a more regular basis, at least maybe quarterly or every six months. I just have more of a hunger. I’m also memorizing scriptures again. I have tried before to do the Navigator system and I just quit. I gave up. I couldn’t do it or I thought I couldn’t do it. I told CJ this morning, “You know, I was just walking around the house, and I remembered five, and I was able to recite them.” I’m on scripture six already. My brain is getting clearer. Your brain is like a muscle. It’s an organ. It’s one of the most important organs in the body. Yet, we don’t treat our brain very well! Even now it seems like, “Wow, that’s really a difference.” You know? I realized, and this was an insight, that the world will not fall apart if I take a few days away. You think things are going to fall apart, but they’re not. At least, it was not the case for me. Not that I can take time off like that all the time. I do have responsibilities. I do have members in my academy that count on me, but I can probably do this once a year. I think I want to. The very first day I could tell. I felt more peace than I have for years. I realized that there was a background hum of anxiety, but I covered it up with work and doing more work projects. It was just this background hum of anxiety and I think that a lot of it was caused from being constantly connected to technology. I felt more peace than I have for years. There is a book called Invitation to Solitude and Silence by Ruth Haley Barton. She also has another book I read called Sacred Rhythms. Both of them are so good. In her book Invitation to Solitude and Silence, she gives this image in the beginning that she was actually at a breaking point too. She went to a psychologist, which was also a spiritual director. They told her that your life is like this jar of river water and it’s all shook up. You need to take time for silence and solitude to let the mud and the water settle. I really feel like I felt more peace than I have for years, and it’s almost like that muddy river water in my jar had time to settle. So I finally have some clarity and peace. It literally feels like a fog has been lifted from my brain. I can’t explain exactly what happened, it just really feels like that. I’ve been praying again for divine appointments. I would do it sporadically, but really not on a consistent basis. Usually, I would be so busy and check things, on my phone, and do other things that I wasn’t aware of my environment anymore. So, even if I did have divine appointments I wasn’t paying attention. What do I mean by divine appointment? What I mean is asking God to put people and situations in my path to impact for His kingdom. It might be someone that just needs a smile. Or it could be an opportunity to pray for somebody, someone that needs encouragement. Or it could be just helping somebody with something that they have going on. I have started praying for these, and it already happened several times. It’s crazy! I was praying for that at my church and I went to a women’s ministry leadership meeting on Wednesday. I was like, “Lord, I just pray that you would place divine appointments”. It was during that 7-day detox. I got there early and saw this lady, and I just started talking to her. She had a Starbucks cup and I just started talking to her about her Starbucks. We started talking and she’s had a really rough go of it. After a while, I said, “Would it be OK if I prayed for you?” She kind of looked at me like, “What?” but said, “OK.” I prayed for her right there. She jumped up, gave me the biggest hug, and it was like her whole face, her whole countenance looked different. It took maybe five or ten minutes of my time, total, to talk to her and pray with her. That night God gave me the opportunity to pray together with three other people. I don’t know if this has ever happened to me, but it happened to me twice during that 7-day detox, once at the church service and once at the women’s leadership meeting. I really sensed it was the Lord. Both of these situations that happened, we’re now texting and I’m mentoring them. I was mentoring one to share her testimony. God is doing amazing things that I wouldn’t have even seen before. I wouldn’t have even been open for before. I didn’t have margin and I didn’t have space. I wasn’t even looking or praying for it. Some amazing things are happening. They were encouraged, but I am too. Aren’t you encouraged when you see God at work? Yes! So those are my ten insights. I could go on and on and on. I have a notebook full of insights, breakthroughs, and things that have happened. I just shared a new training of two tools that I’ve recently come across during this time. 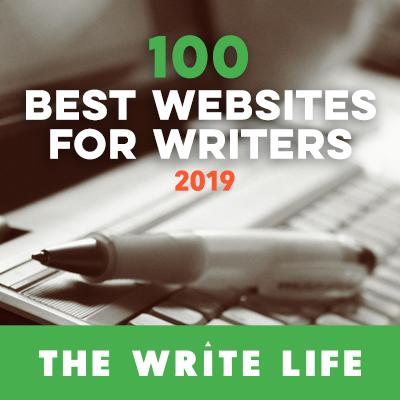 It’s something that I’m using, and it has huge, drastic difference in my business, in my writing, and my creativity. My encouragement is please consider a detox of your own. Consider creating a time for some silence and solitude, truly practicing the Sabbath, turning off your devices on the Sabbath, and getting a break. Give your brain some margin. Let it heal. Let it rewire. Also, let us not let social media control us, but let us take control of social media, email, and internet so we can use it to honor God. I don’t feel like God has asked me to give up social media. I’m right there right now, and this is how I’m recording it through Facebook Live. After this, it will be on YouTube, the podcast, my blog, and it will go out to Twitter LinkedIn, and all these places. I record it, my team does all the rest, but I don’t think He’s asking me to quit social media, He’s just asking me to use it differently. You know what? If I didn’t fight this battle and do the things that I need to stay clear, to stay calm, to stay peaceful, to have that clarity, I wouldn’t be talking to you right now. I wouldn’t have my author coaching business, and I wouldn’t have all these opportunities for God to use me and reach all these people from around the world. It’s going to be hard, and it already is. It’s hard to do this God’s way. It’s hard because they set up social media to be addictive. They set it up to hook you in. They paid people and consultants from all different places. I think it was the Deep Work book or podcast where they said that Facebook and other platforms pay people to come in, from casinos and slot machines. And they apply the same techniques to their platforms. They make it that way because this is their business. It’s a battle worth fighting. If you need to, maybe you need to shut down some things. Maybe there is a time for a fast for you, and a detox. Only the Lord can tell you. You have to create the space, create margin, create time where you can really hear from him. I just, I really felt like the Lord was saying, “it’s a battle worth fighting.” It’s going to be a battle for the rest of my days, but that’s ok. It’s ok because I know, I saw such a drastic change in this time off, and it was a total five weeks that I was off shy one day, and seven of those days completely unplugged. I’m a different person, I’m a changed person, and I’m so thankful because I really don’t know that I had any more left to give. I just didn’t have it. I was dreading the things coming up in this fall. I was like, “I don’t know how I’m going to do it.” I was dry, I was done. The Lord refreshed me. He restored me, and He’s continually healing my brain. I’m here to tell you I survived a 7-day technology detox, completely away from my computer and my phone. Thank you for being here. Let me know if this has encouraged you at all. Was there anything that was an “Ah-ha” moment for you? What was a take away for you? What are the action steps for you? What is something you can do to create more space? What can you do so that you can not only receive God ideas for books, or marketing but so that you can write the things that God gives you? Let me know in your comments below. I will see you next time!